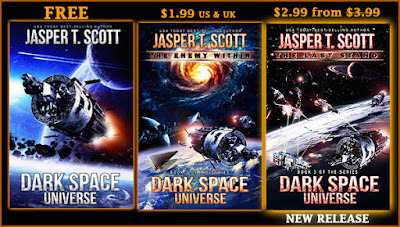 Dark Space Universe Series Discounts! 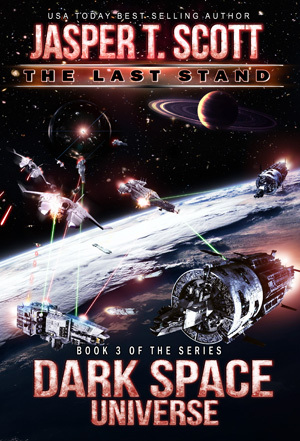 Dark Space Universe (Book 3): The Last Stand is Now Available! Discounted from $3.99 to $2.99 Until October 23rd! Astralis is surrounded. The lost Etherian fleet has arrived with old friends at the helm, but the Faros are there, too, and they’re demanding we give them the lost fleet, or else. Lucien Ortane is determined to fight, while everyone else fears defeat and wants to negotiate, including his wife, Tyra. They argue that the Faros’ fight is with Etherus and the Etherians, not humanity, but when the Faros realize that Astralis planned to warn Etheria of the coming invasion, their focus shifts to humanity instead, and negotiations fail. The future of humanity and countless other species hangs in the balance. They are badly outnumbered--a million to one. If war breaks out, the Faros will win, and countless trillions of people will be killed or enslaved. There is only one path to victory, but will Lucien have the courage to take it? 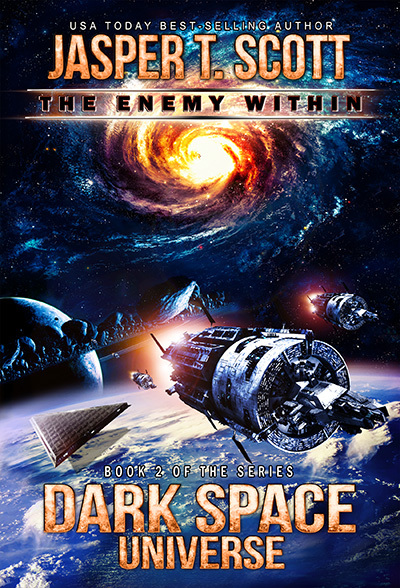 Dark Space Universe (Book 2): The Enemy Within is Now Available! Now Available, and discounted from 3.99 to 0.99 until August 27th! Lucien, Garek, Addy, and Brak are all that's left of the Inquisitor's crew. Eight years ago they left the Etherian Empire aboard the Astralis with three hundred million scientists to learn the true nature of the universe, but now Astralis is surrounded by a hostile race of alien slavers, called the Faros, while the Inquisitor's crew has been forced to abandon ship and flee to parts unknown. Lucien and his crew are trying to find a way to rescue their people, but they don't have a ship, and they don't even know where to look, let alone how to fight back against a seemingly innumerable and invincible foe. Meanwhile, Abaddon, the leader of the Faros invaded Astralis for a reason. He has a plan, and it's time to execute it--along with everyone who stands in his way. I need a tagline for my new book, and I'm torn about which one to use, so I'm going to put it to a vote. Tell me which one you like best! Website Design Updated & Dark Space 7 Coming May 10th! You may notice I've just updated the design of my website. It now has a cleaner, more professional look that will hopefully make it easier to navigate. Most notably the collage of my books at the top of the page is now an infinitely scrolling list, with each cover clickable. Also, I've added a "Jasper's Books" page with all of my books listed in their suggested reading order. And last of all, Dark Space Universe (Book 1) / Dark Space #7 is done and set to publish on May 10th. My advance readers all love the book and think it's a great standalone addition to the Dark Space series. It's probably closest in style to the TV series Star Trek: Enterprise, but it covers a very unique storyline--something I've never seen done in Sci-Fi: a journey to the cosmic horizon and beyond. If you're looking for a series that focuses less on action and more on exploring the outer reaches of space, then you've found it with Dark Space Universe.